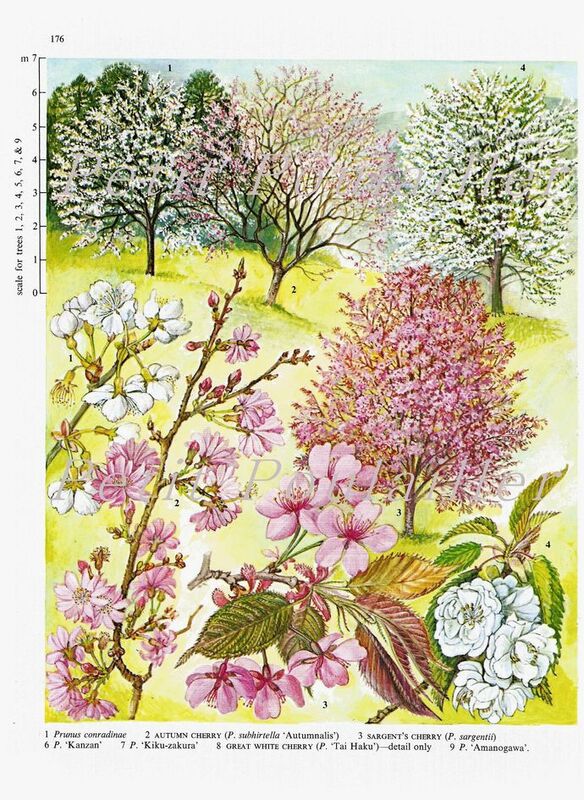 Here is a beautiful botanical lithograph gleaned from Barbara Evelyn Nicholson 1975 field guide featuring beautiful cherry blossoms, leaves and trees. A perfect paper to frame for your home decor, isn't it? Those beautiful shell pinks, whites and sage greens ... these are lovely, delicate color accents for your home - for the bath, the bedroom, the kitchen. Or will you use these in your art? 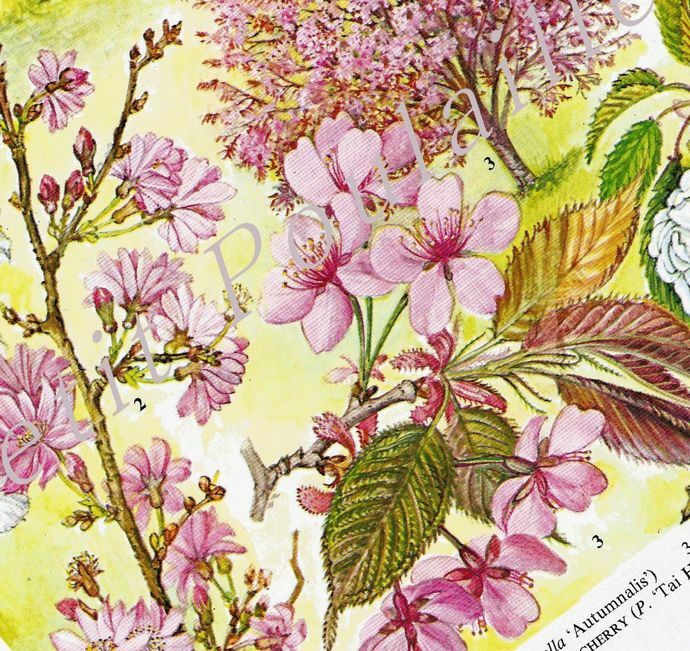 Ideal for tag and card creations, scrap booking, decoupage. 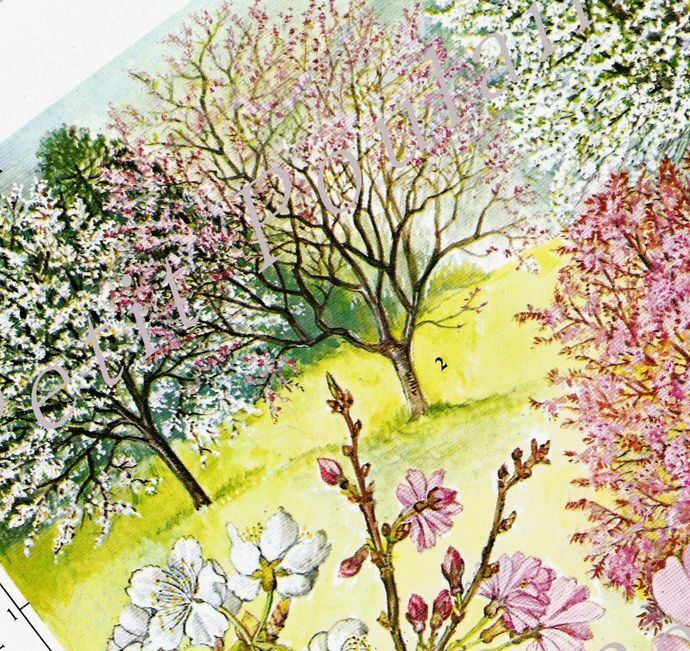 Barbara Nicholson illustrations are wonderful - perfect to frame in groups or to feature each by itself. The lithography is strong and bold, the colors are wonderfully clear and bright, and the paper is smooth and clean with sharp corners and clear edges. The heavy paper measures 6.75" x 9.5" (17.1x24.1 cm) and there are no tears, creases, marks, or folds. You are purchasing an original 1975 paper and it does not have watermarks. I will send this to you flat, protected, and by USPS 1st Class Mail.